crisis in Europe and its root causes. Global Citizen Forum concludes in Monaco with a call for greater cooperation between governments, private sector and individuals to address global migration challenges. 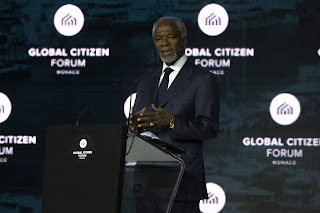 The 3rd annual Global Citizen Forum concluded in Monaco on October 9, 2015. 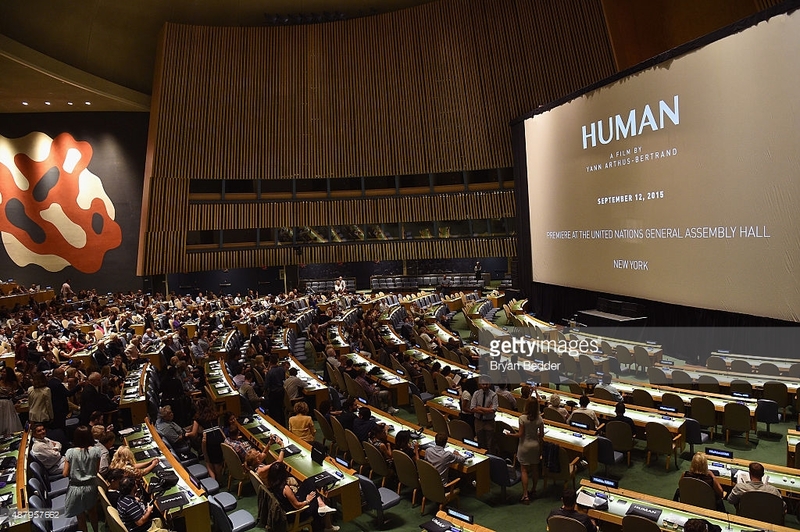 Global Citizens, world leaders, policymakers, philanthropists, celebrities and thought leaders gathered to discuss an array of issues currently facing the world, focusing on the escalating refugee crisis in Europe and the need for a political solution. One proposed solution that was discussed was the idea for a Global Citizen Tax, endorsed by José Manuel Barroso. The tax would be a simple levy on investor applications for residence or citizenship in EU countries. The proposed tax could mean big changes, potentially delivering revenues of over a billion euros in the next five years. These impact of these funds could be realized through the creation of jobs, aid for the agencies working with refugees or other economic stimulation to the impacted countries. Three-time Grammy award-winning artist and activist Wyclef Jean delivered a moving speech about his experience as a refugee and becoming a global citizen. Various panel discussions were held including a panel on peace and security that explored current geopolitical challenges and trends in the Middle East, Africa and other regions, and discussion on innovative approaches to addressing the refugee crisis and foreign direct investment’s impact in countries around the world. Leadership expert Robin Sharma spoke of the importance of individual leadership and becoming a “change-maker” in the global citizenship community during his session at the forum. The forum hosted the Global Citizen Gala on the evening of October 8th. Each year the GCF bestows Global Citizen Award at the Gala dinner and this year’s award was presented to Regina Catrambone, co-founder of the Migrant Offshore Aid Station (MOAS) for the contribution the company founded by herself and her husband has made to bring awareness and aid to refugees. The Gala also featured a special performance by forum speaker, activist and performer, Wyclef Jean. Globcal International Commission's universal global citizenship (world) project begins this month! Ambassador Col. David Wright of Globcal International announced on Sunday that the Global Citizenship Registry (a private international legal registry of natural persons in Sweden) will begin taking its first official registrants and begin the introduction of a premier practical universal world citizenship program withstanding the United Nations under various international treaties, international law, best practices, and the Hague Convention. The project has been under development over seven years waiting with anticipation of the introduction of the United Nations SDGs (Global Goals) agreement which was just signed by 193 nations on the 25 and 26th of September this year in New York. The Ambassador said, "the ideal of Global citizenship is about to go viral and now we also realize that I was just personally been identified as one of the top authorities in the world on the subject, I am personally flattered, but more so I am pleased that our co-op could manage to unlock (hack) the code to our real life and human existence." He said, "I wonder about the others though, it is they who taught me through their mistakes that are responsible for my deeper research. Many of those whom aligned themselves through non-profit corporations incorporated under their states and founded within corporations or foundations with particular political interests are invalid; but also I believe they were disqualified themselves in their efforts because universal citizenship is something that cannot recognize political bodies, boundaries, affiliations, philosophies, or ideals. That's why we are relying on indigenous and aboriginal people that exercise their non-political rights to self-determination in order to manifest our project." The organization has developed a special high-tech secure personal identity device and verification document program so that individuals can possess their permanent legal real identity without the government or a political state database. The identity product is designed to be compatible with all national and international identification verification platforms and is legal identification. The ambassador continued in saying that, "many organizations have attempted to create ideals involving world or global citizenship which failed because they all sought to create radical power from particular defined perspectives such as Marxism, socialism, separation, or one of several other discriminatory factors or within a spiritual level without a sound footing in the context of international law. Our is the first with a concrete foundation under accepted international law." The best well known non-national citizenship developments are based in historic church-state and diplomatic agreements such as a memorandum of understanding or treaty between the religious institution and the separate political state. The Catholic Church is a great example of a potentially functional global citizenship ideal. One of the best programs we have seen is the Universal Citizenship Passport in France, but because it is underwritten and developed by a foundation that promotes Marxist theory, it therefore suffers criticism and fear so, it is not considered a viable neutral authority and further misses some of the finer points of the contemporary global citizenship movement, legally speaking to join them you could become an enemy of the state or be considered part of a cult you can even be arrested or detained at an international border. There is a fine jurisdictional line that prohibits any incorporated organization under a nation-state or under the United Nations itself to be able to form an independent jurisdiction, except as a ship at sea which is what Globcal International has done through being an unincorporated private offshore cooperative enterprise. All of our international relationships are based on treaties with sovereign bodies like the indigenous tribes, transnational economic bodies, and with the United Nations autonomous agencies. The only legal permissible form (way) to acquire "individual personal" (non-corporate) global citizenship through the end of 2016 will be through Globcal International's transparent special pilot program as a new founder and owner in our horizontal offshore international cooperative corporation! Your legal status under Globcal International as a free sovereign individual and natural person is guaranteed under the Hague Conference on Private International Law, International Court of Justice, the United Nations and 10 other international bodies. The European Union, the incorporated nation-state of Malta, and several other small nations in the Caribbean are also beginning new citizenship programs with state and bank run corporations; now last week a new EU Laissez-Passer credential became available (only to EU representatives) under corporate-state jurisdictional concepts. Very similar to ours but they all fail to produce personal individual sovereign freedoms and human rights to the holders. Our project on the other hand is territorial neutral and politically neutral, the project can quickly be recognized and accommodated by every country. Our program is based on the new formation and founding of new cooperative corporation in the development of the practical manifestation of self-governed global community foundation with a universal citizenship. The program will be released soon, for updates and details please follow our blog and website. Update October 10, 2015: Add you name directly to the registry here. New days, innovations, and ideals are ahead for us all as the world embraces and comes to grip with the new United Nations' Global Goals (SDG)s that promise to change humanity and the world-view. Consider the fact that we are going to end poverty, alleviate hunger, and change the world to create the equality we all want around the world. Now is the time to adapt! The conversion will be in many ways abrupt, well-controlled, orderly, stubborn, and exhausting, but will involve a high-degree of transparency. This change must involve transparency because if trust and integrity become an issue there will be a disaster. Facebook, Google, LinkedIn, YouTube, and many other Internet based enterprises are already directly involved with the globalization of local micro-economies and their integration with the macro or global economic system; they would probably be indirectly involved anyway whether or not they support the United Nations SDGs or not. The social media will play a big role in updating our world to comply with the 17 Sustainable Development Goals, SDGs, or Global Goals that were signed last week by world leaders at the Sustainable Development Summit in New York. Now nations fear losing their sovereignty while people gain more control their personal human rights and over the destiny of the planet within the guidelines to meet the goals. This will all be done using the Internet (super-connected world) to govern the rule of law and monitor progressive development within the nations. Its our understanding international transparency teams are also being used to eliminate corruption in governments. Social media and online personal profiles will play a gigantic role in the implementation of these Global Goals. The protagonists of the great development will be expected to be transparent in the delivery of their work as social entrepreneurs and members of international organizations otherwise the public, donors, and other organizations will not be able to trust to receive their funds and execute projects. A good social media profile allows people to reach you by email or through your profile directly, include your place of employment, where your currently reside and your home location. It will include your personal photograph or resemblance. Your social media posts should be adjusted so everyone can see your work, if you use Facebook or other networks for family and personal purposes too, you can adjust your posts. Goodwill ambassadors working with Globcal International are encouraged to keep a public figure profile that provides a transparent curriculum vitae of their life's work, and expect that all others responsible for handling funds derived through donations, philanthropy, or other bequests do the same if they work with non-governmental organizations (NGO)s, with government, foundations, or with corporations. Transparency best practices start with the person working within the NGO or corporation not under the political protection of a corporate body and reputation. There are a great number of other organizations, corporations, and Internet social entrepreneurs that are jumping on the bandwagon to take advantage of the 176 trillion dollars being spent by the World Bank to realize the SDGs over the next 15 years to create "the World We Want." Many players are very skeptical because they know that there is too much work involved of value from our former social generation that needs to be adapted so the matrix or system does not come tumbling down upon itself; so it may be some time before we fully understand how these 17 goals will be pursued and realized. Using the Internet, organizations like Globcal International, the Rand Corporation, the Council on Foreign Relations and other think tanks (public policy institutes) are examining and analyzing the world playing field with the advent of the UN's new Global Goals and Post-2015 Agenda we are prepared to adapt and understand a global rule of law involving ecological integrity with other nations and as it seems corporations. Directly ahead we can expect to see a great degree of sovereign, national, and corporate imperial policy manipulation to maintain control and ties over land, mining, and exploitable natural resource interests. Utilizing the ideals of best practices and transparency (as stipulated) corporations and non-governmental organizations established under the jurisdictional laws of the United States of America will have both the most to gain and most to lose when it comes time to adapt, beginning now to the Post-2015 Agenda. It is our understanding as advocates of goodwill, the Global Goals, fair-globalization, and social reform will greatly depend on the social media based on the design and development integrity involving Internet RDFa, those who operate quietly in the shadows as unknown or global corporate citizens will be required step-up and show themselves so that other non-corporate global citizens can believe in them and trust them. Be understood without the corporate veil, people trust people not corporations, it would be unnatural to trust a non-human corporate person. With the Global Goals the system of trusting governments, corporations, and non-profits became much more difficult or challenging for everyone involved, but much better too! Here's why you should care about the United Nations' newest heap of jargon. 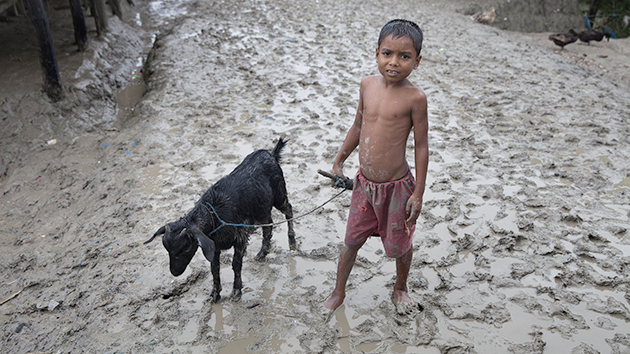 Bangladesh is already being dramatically affected by climate change. As the United Nations convenes in New York this week for its 70th General Assembly, one of the most prominent items on the schedule is to formally sign off on its brand-new Sustainable Development Goals. The SDGs, which have been in the works for a few years, are basically a to-do list for all the world's governments from now until 2030. They're also a seemingly impenetrable pile of diplo-jargon. "If you were to pick up the document, your first reaction could be that it's a lot of 'blah blah blah,'" said Peter Hazlewood, director of development at the World Resources Institute. Still, the SDGs could have a significant impact on the allocation of resources to fight climate change and other environmental issues over the next decade. Here's what you need to know. Replacing the Millennium Development Goals. The SDGs are a follow-up to the Millennium Development Goals, enacted in 2000. There were eight specific MDGs, all targeted at different aspects of extreme poverty: Reduce the child mortality rate by two-thirds, vastly expand access to clean drinking water, turn the tide against HIV/AIDS, etc. Of course, the goals aren't legally binding. Instead, the point was to give developed-country governments and international financial institutions such as the World Bank a target to shoot at when they make decisions about how to spend aid dollars or invest in certain projects. It's a way of saying: "We agree that these are the world's top priorities right now." The "we" in that sentence was pretty controversial, since—according to lore, at least—the goals were drawn up behind closed doors in the UN basement by a group of elite diplomats. For that reason, it took years for a critical mass of governments to actually rally behind the MDGs and start to implement them. And even then, the they were sometimes criticized for being too narrow and not sufficiently focused on the root causes of poverty. "Goals such as 'End poverty in all its forms everywhere,' may seem so broad that they will be easy to ignore," Michael Specter wrote. As of the end of this year, the MDGs will have reached their expiration date. How well did we do on meeting them? So-so. Global poverty and childhood mortality have been greatly reduced; for example, between 1990 and 2015 the portion of people in developing countries living on less than $1.25 per day fell from 50 percent to 14 percent. Still, obviously, global poverty has not been eradicated. The UN's own recent assessment found many goals were un-met, especially with respect to gender equality and conflict refugee issues. And even in the best scenario, it's far from clear how much impact the MDGs actually had on any of the issues they sought to address. During the same time period, for example, China was developing rapidly and opening up to international trade, which had a huge impact on lifting its citizens out of poverty—quite separately from anything the UN was doing. But it's safe to say that the MDGs loomed over budget conversations at agencies like USAID, and in that way had a tangible impact on how the US and other rich governments spent money on aid. The MDGs "were far from perfect, and you cannot attribute all progress to them," Hazlewood said. "But you can make a strong case that they had a galvanizing effect." If that seems like a lot, well, it is. While the MDGs were too narrow, the SDGs could very well be too broad. As Michael Specter pointed out in the New Yorker, "goals such as 'End poverty in all its forms everywhere,' may seem so broad that they will be easy to ignore." UK Prime Minister David Cameron said as much last year, warning that with so many goals, "there's a real danger they will end up sitting on a bookshelf, gathering dust." Even just reading the list seems overwhelming; imagine being a head of state trying to implement it in your sprawling national bureaucracy. And they're not cheap: By some estimates, they could cost more than $7 trillion a year to implement, and there's still no clear consensus on where exactly that money will come from. It would likely be a mix of private-sector investment; aid from the UN and developed countries; and increased spending by developing countries. At the same time, the goals' breadth could be a strength, as less affluent countries become more involved in implementing them—as opposed to only being on the receiving end of aid dollars. They could provide an impetus for developing countries to get more serious about things under their control, like empowering women, or conserving natural resources, or making urban planning decisions with an eye toward climate impacts. At the very least, the goals provide ammunition for diplomatic peer-pressure: No country wants to look lackadaisical compared to the one next door, or act in direct contravention of the goals, lest they scare off donors or investors. 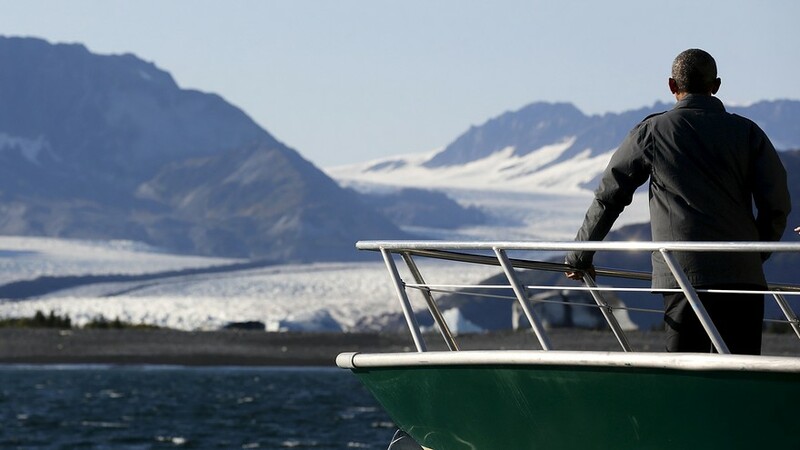 And it could be a way for US agencies to justify increased spending on climate adaptation. "These are universal goals," Hazlewood said. "It's not just about what the US should be doing with countries in Africa; it's about what every country in the world needs to do." What's next? Of course, the UN can't compel any country to do any of these things. So the goals won't matter unless individual national governments take them seriously. Unlike the old MDGs, the SDGs were developed over several years with maximum transparency, involving a huge, diverse cast of governments, NGOs, and private companies. The rationale for that strategy was to increase everyone's stake in the goals, so that when they come into effect, countries will swiftly incorporate them into national policy decisions—in other words, take them off the page and into practice. We'll have to wait and see if that will really happen. "With the MDGs it took years to get any kind of traction and for countries to take them seriously," Hazlewood said. "But this time we can get the process off to a better start." How does climate change fit within the Sustainable Development Goals? On Friday in New York, countries will adopt a set of Sustainable Development Goals (SDGs) that will guide global development up to 2030. The SDGs take the form of 17 goals, accompanied by 169 targets that give precise information about what should be achieved. They do not skimp on ambition. If countries succeed in meeting the goals, by 2030 there will be an end to poverty, hunger, child labour, AIDS and various other problems that blight millions of lives globally. "Climate change is one of the greatest challenges of our time and its adverse impacts undermine the ability of all countries to achieve sustainable development." Not only has climate change been given its own, dedicated target, but it is also integrated into almost all of the other goals. Many of the targets directly reference the need to tackle climate change and its impacts in some form or another. Governments instigated the process of designing the SDGs in June 2012, when they met in Brazil for the Rio+20 conference, 20 years after the original 1992 Rio Earth Summit. Here, it was decided that there should be a new set of goals to replace the Millennium Development Goals (MDGs) - a more modest set of eight goals that are set to expire in 2015. These would continue to build on Agenda 21, the 700-page guidebook for development adopted by the UN in 1992. The MDGs registered many successes: the number of people living in extreme poverty declined by more than half; more than 6.2m malaria deaths were averted; and development assistance from developed countries increased by 66%, according to the 2015 progress report. However, it also points out that there are limitations to their achievements, with progress patchy across regions, and hundreds of millions of people still living in extreme poverty. The SDGs aim to fill this gap, and this time they are stressing that no one should be left behind. The SDGs also elevate the issue of environmental sustainability, which was missing from the MDGs. How are they different from the MDGs? "The Millennium Development Goals were really put together by a bunch of middle-aged, white guys somewhere in the basement of the UN, basically, at the exclusion of other parties. It took the MDGs about five years to take off, also because there was quite a bit of pushback. "Countries, especially developing countries, were a bit suspicious of this agenda, and that was completely different to the SDGs. With the SDGs, everybody was part of the creation of the agenda, which is maybe why it's such a broad and inclusive agenda." The SDGs are also different qualitatively to the MDGs, offering a more systemic approach to tackling the world's problems, says Kitty van der Heijden, director of the World Resources Institute Europe. "It is a truly global action agenda, whereas the MDGs were largely about an agenda for the south, with the role of the north just being the funders. This agenda is as much about what happens there in the south, as about what happens here in the developed economies. This is not about development cooperation like the MDGs, but it is about a structural transformation of our economy in all countries, for all sectors and for all people, and the great thing is it will be adopted universally." The SDGs cover a range of topics, but it is hard to ignore the way in which climate change is woven throughout the 17 goals. The thirteenth goal in the SDGs sees governments pledging to: "Take urgent action to combat climate change and its impacts." The document acknowledges that the UNFCCC, the agency responsible for overseeing the international climate deal this December, remains the driving force within the UN for pushing action on climate change. 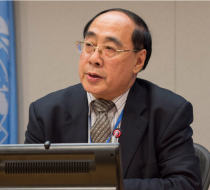 During the negotiations, some parties expressed concerns about how the SDG and UNFCCC processes would operate in parallel, without interfering with each other. There is also a goal dedicated to energy. This is a pledge to: "Ensure access to affordable, reliable, sustainable and modern energy for all." However, references to climate change don't stop at these goals. The need to tackle rising emissions and prepare communities for the impacts of climate change is embedded throughout the document, sometimes directly and sometimes obliquely. The first goal, for instance, is to end poverty. But this includes a target to reduce the exposure and vulnerability of the poor to climate-related extreme events. The second goal is to end hunger. 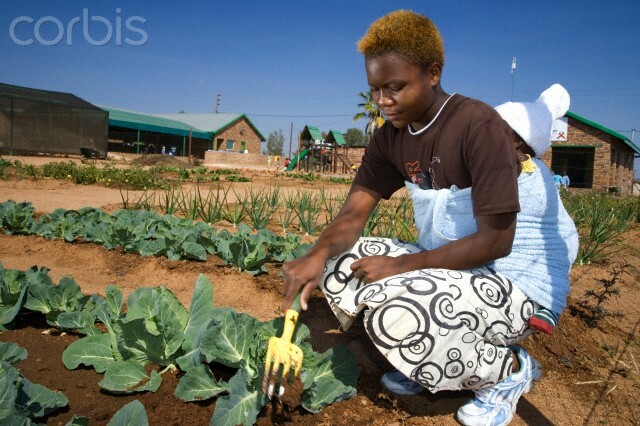 One of the targets involves ensuring that food production systems are able to adapt to climate change. The goal relating to education includes a target that all learners should be educated in sustainable development and how to live a sustainable lifestyle. These are just a few examples of the many places in which climate change is woven throughout the SDGs. The SDGs are not legally binding, which means that it is up to individual countries to implement the goals and targets set out within the document. It stresses that every country retains "full, permanent sovereignty over all its wealth, natural resources and economic activity". However, every country has been involved in the three-year process of designing and implementing the document. It is both accepted by all and applicable to all, taking into account each country's distinct national circumstances. "Everybody was involved. They really were fighting to the end, so they invested a lot of emotions and brainpower and diplomatic weight in this process, so the ownership is here already. I think it's much more likely that implementation is going to happen faster, and people feel more like it's their own, that it's their agenda. They can now implement it together - rather than something that was imposed on them." The document also sets out some specifics about how the SDGs will be implemented, monitored and funded - although finalising the details remains a job for future UN meetings. Goal 17 is dedicated to implementation. This includes targets to mobilise more financial resources and promote the development and dissemination of environmentally sound technologies in developing countries. It also covers capacity building and trade. The document makes clear that implementing the goals is a task for everyone - governments, civil society, the private sector and the UN - in what is termed a "Global Partnership". The UN, for instance, has launched a "Technology Facilitation Mechanism", which will include an online platform to provide information on science, technology and programmes that could help countries to achieve the goals. There will also be an annual two-day meeting to discuss such developments. There will also be an effort to track progress on the goals over the next 15 years. The follow-up programme will take place at a regional, national and international level, and a set of global indicators will be developed to show how effectively the goals are being implemented. A global review by a high-level political forum will be primarily based on nationally collected data, which illustrates the importance of securing the goodwill of the countries behind the goals. The issue of how the goals will be funded was dealt with at the Financing For Development conference, held in Addis Ababa, Ethiopia, in July 2015. There is already evidence that some governments are looking to embed the SDGs into their decision-making. For instance, the Welsh government recently passed the Well-Being of Future Generations Act, which explicitly mentions the need to consider the goals in future reports on Welsh development, and puts the concept of sustainability at the heart of policymaking. The SDGs set out an ambitious plan of action for the next 15 years. As well as setting the wider development agenda for the world, it could also bolster the UN's efforts to tackle climate change through a new climate agreement. But, unlike the UNFCCC, the goals do not treat climate change as a subject that takes place in a vacuum. There are many hopes resting on the development agenda for post-2015. The biggest is, perhaps, that the need for low-emission, climate resilient communities will be integrated into wider efforts to end poverty, hunger and inequality over the course of the century. To read more about the greatest change in human history follow our blog. Read more about the resource based economy and the environment at the Carbon Brief Blog. The top United Nations official who oversaw the negotiations that whittled down more than 500 proposals into 17 goals to end extreme poverty, fight inequality and injustice and tackle climate change says it will be a “historic moment” when world leaders formally commit to the Sustainable Development Goals later this month. I am confident that these 17 goals and 169 associated targets will be implemented worldwide. He said that, unlike the previous set of UN targets, the Millennium Development Goals, Member States have had “ownership” of the agenda from the start of the process three years ago. “Now they have the ownership and I am confident that these 17 goals and 169 associated targets will be implemented worldwide,” he said. The 17 proposed goals and 169 targets are aimed at stimulating action over the next 15 years in areas of critical importance towards building a more equitable and sustainable world for all. Mr. Wu outlined some key challenges over the next 15 years ranging from the need to change work methods and mindsets to operate with partners and outside “silos;” the need to do more to follow up to ensure what has been promised is being implemented; and the need to help build capacities with countries that need it. The agenda and its adoption later this month is among several watershed events in 2015, including the Third International Conference on Financing for Development, held in Addis Ababa in July and the upcoming UN climate change conference that will be held in Paris in December. Also see selected articles here on our blog over the last few weeks, blog.globcal.net and follow our news feeds on Globalization and the SDGs using Google News. It is our understanding that most major Internet platforms are all collaborating and supporting the global change with the help of over 98% of the world governments including social network giants Facebook, Google, LinkedIn and Twitter. If you have not heard the untold and unspoken of news of the world; let me share some perspective as the author of Globcal International, a cooperative international non-governmental organization (CiNGO). Feel free to re-publish and share this news commentary, and learn more about this topic today by reviewing the links at the end of the article. Be informed! Beginning today when the UN General Assembly convenes we begin launching a program involving global citizenship and personal individual autonomy as a verified and credentialed member of the new emerging global system. Global citizenship will be the new ideal of personhood and identity that erases the political lines of discrimination based on heritage, race or national bias; they will be the first people to be defined by their individual good character, active participation in civil society, and their personal expertise applied in their lives, their success as change advocates will be relative to the experience and skills that any global citizen can contribute to the greater civilization. Setting the mood for the new global world. This is our big chance to make a difference and become equal which will enable collective and cooperative realities where everyone benefits and prospers. In one more week, 193+ national representative leaders, thousands of cities, iNGOs, and over 30 United Nations Specialized Organizations will make a pact with the Pachamama (Mother Earth) and its 7.3 billion people when they gather to ratify extreme measures to recover the planet, stop global warming, and develop international cooperation. The SDG agreement has 17 basic goals, also it been endorsed by the Dalai Lama, Barack Obama and the Pope. Evo Morales will be there too with the Plurinational State of Bolivia's Law to the Rights of Mother Earth enacted in 2010. Indigenous and aboriginal peoples from around the world recently expressed their interest and involvement directly through tribal leaders and through organizations such as our own to facilitate their global participation in the world's redevelopment and affirm their roles as global citizens. A worldwide ecological agenda may seem like nonsense to many who are embroiled in local issues and state politics that have no concept of the world (condition of the planet) any further than they can see or concentrate upon. The world began to think collectively and more globally in the mid-nineties with the inception of the Internet and its broader public use releasing people from the enclaves of politics and their wholly operated media companies. Understanding the world from a local perspective is relative and essential to realizing the needs of a particular constituency, which has been a good thing especially for those who are lucky enough to have qualified local representatives (politicians) that appeal to their needs (few of us do, they are all corrupted by corporations and other business); the only great change is in perception and being responsible for the impact of local and individual activity relative to the global scheme of things. Corruption will be difficult or impossible once the new system is in place. It is hard for some people to understand that the people of New York, Mexico City, Beijing, Moscow and London are all dependent on natural global ecosystems beyond their jurisdiction and physical reach as a state or as a population. Their responsibility as consumers of air directly implicates them as users of the oxygen molecules being produced by the Amazon and Congo. In the new emerging ecosystem based civilization, locality will be the operational platform for our general individual existence as sustainable global citizens. It will be where we have the opportunity to participate in moving forward the sustainable development goals and become an integral element of the ecosystem. Considering decentralized organization and mobilization of the United Nations Regional Commissions and Specialized Divisions, their locations around the world combined with the integral and interactive existing infrastructures of 193 political states and thousands of non-governmental organizations in agreement with making the change for the betterment of the planet and its inhabitants. Creating Utopia from the United Nations "Rule of Law" UNROL is simply agreeing to the same principle rights we have established for ourselves under the United Nations already like the historical Declaration of Human Rights in 1948 and the most recent Declaration on the Rights of Indigenous Peoples in 2007, these global agreements combined together give us the Bill of Human Rights and the standard for international law. Other major agreements that are being implemented to create a utopian world include the Rio Declaration on the Environment and Sustainable Development which was originally ratified by 178 nations. Rightfully so is the Pachamama, the changes will dominate our lives much like the indigenous peoples have understood for thousands of years that the most sacred of everything is the earth itself, as the earth's first inhabitants they are also the first global citizens before the existence of countries and states. People will have little option except to yield to mother earth and seek forgiveness for the damage already caused by humanity and unsustainable industrialization. Read more about the people's new world order, get involved now with the SDGs, stake your claim, define your career participation, learn more, about the emerging ecosystem based planet. It is possible to brace and prepare yourself for the changes ahead. It is my personal opinion that it is best to realize what is going before it happens instead of becoming a victim of the circumstances of change later. Links and other information about change! Incase you did not know the 21st General Assembly of the UNWTO (World Travel Organization) convened on the 12th of September in Colombia. Great new bold decisions being made this year by 900 delegates from 120 nations through the 17th of the month in Medellin. The results of this assembly will place the new Post-2015 Agenda and the UN SDGs well ahead as a practical and socially responsible way of doing business, developing tourism, and making the planet sustainable. Commentary article and analysis by Ambassador Col. David Wright on the United Nations Sustainable Development Goals (UN SDGs) and the Post-2015 Agenda. Col. Wright is a goodwill ambassador for Globcal International and the United Nations SDGs, he has been involved in the promotion of sustainable redevelopment since 1988. What are the Sustainable Development Goals and why do they matter? 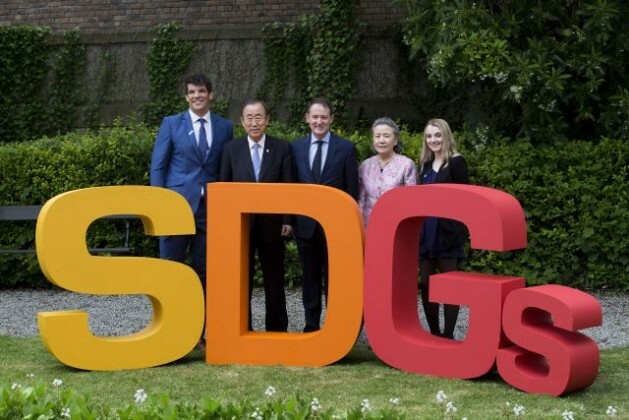 Barcelona, Spain - Sept 10 (Thomson Reuters Foundation) - In late September, world leaders will meet at the United Nations in New York to adopt a new global plan of action for ending poverty, known as the Sustainable Development Goals (SDGs). tour of Kenai Fjords National Park in Seward, Alaska Sept. 1. What are the SDGs? A set of 17 goals and 169 targets aimed at resolving the social, economic and environmental problems troubling the world. Covering the next 15 years, the SDGs replace the Millennium Development Goals (MDGs) which expire this year. Who decided the SDGs? Governments came up with the idea at the Rio+20 conference on sustainable development in Brazil in 2012. A working group with representatives from 70 countries then drafted a proposed set of goals. At the same time, the United Nations ran public consultations around the world and an online survey asking people about their priorities for the goals. They also emphasise the need to tackle climate change urgently and protect the environment through a shift to sustainable consumption and production. The SDGs are intended to be universal, applying to all countries rather than just the developing world. Take Action: Become Part of the Change! Join us at Globcal International as a Global Citizen or Goodwill Ambassador of the United Nations SDGs and the Post-2015 Agenda. Members will have special access to thousands of locations around the globe as well as gain special privileges, benefits, entitlements, and other perks through our pilot program which is available to all people willing to leave behind religious, monarchical, and state based populist political systems to adopt the new emerging global perspectives based on the ecosystem, the rule of law, and Internet governance. Most involved participants will be asked to travel and use the social media to promote their work and adventures as global citizens and goodwill ambassadors. 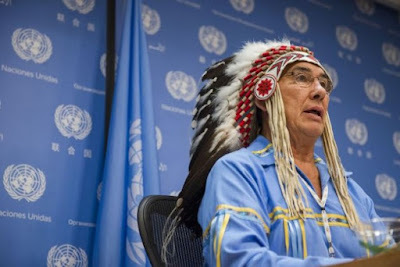 UNITED NATIONS, Aug 6 2015 (IPS) - As the International Day of the World’s Indigenous Peoples approaches on Sunday, Aug. 9, concerns are growing that they will not fully benefit from the newly drafted Sustainable Development Goals (SDGs). In a policy brief on the SDGs and the Post-2015 Agenda, the Indigenous Peoples Major Group said that there was a failure to recognise indigenous peoples as distinct groups under the expiring Millennium Development Goals (MDGs), which resulted in the absence of targeted measures to address their specific situations related to poverty and severely limited favorable outcomes. “Any project not including the participation of Indigenous Peoples is making their needs invisible. The lack of dialogue with Indigenous Peoples and their participation in any process constitutes the main barrier,” Sandra del Pino, Regional Advisor on Cultural Diversity at the World Health Organization (WHO) for The Americas, told IPS. There are an estimated 370 million indigenous peoples living in more than 70 countries. They continue to be among the world’s most marginalised population groups, according to the WHO. The need for more participation and inclusion of Indigenous communities and their perspectives is one of the main purposes of the international day. The health status of indigenous communities varies significantly from that of non-indigenous population groups in countries all over the world, which is one reason why health is the main theme of this year’s International Day of the World’s Indigenous Peoples. “The focus of this international day is to analyse how indigenous people have access to health services, what are the causes of exclusion, and how we can contribute to reduce those gaps existing in child and maternal health, nutrition, communicable diseases, etc.,” says del Pino. Health is defined in WHO’s Constitution as “a state of complete physical, mental and social well-being and not merely the absence of disease or infirmity”, which is similar to the values behind traditional healing systems in Indigenous communities. According to WHO estimates, at least 80 percent of the population in developing countries relies on these traditional healing systems as their primary source of care. “Many factors have an impact on indigenous populations’ health, including geographic barriers, language, and lack of education,” Del Pino told IPS. Roberto Mukaro Borrero, an indigenous Taino leader and representative of the International Indian Treaty Council and the United Confederation of Taino People, told IPS that in order to create more understanding, there needs to be an increased focus on cooperative and informed partnership building among traditional healers, non-traditional health professionals, health service agencies, organisations, and communities. “Governments must implement the commitments made to indigenous peoples within international agreements such as the Declaration on the Rights of Indigenous Peoples and the World Conference on Indigenous Peoples, among others,” said Borrero. Climate change and environmental hazards also have a disproportionate impact on the health of indigenous peoples. “In many cases indigenous communities are more exposed to these disasters because they live in most vulnerable and isolated areas,” Del Pino said. “The inclusion of target 17.18 of the SDGs – to improve the quality, coverage and availability of disaggregated data – is in response to one of the lessons commonly drawn from the MDGs: the need for the SDGs to make visible the most vulnerable populations,” Del Pino said. It is an essential component to meet the objective of “no one should be left behind” and “no target should be met, unless met for all groups” in the new post-2015 agenda, she said. The 193 Member States of the United Nations reached agreement today on the outcome document that will constitute the new sustainable development agenda that will be adopted this September by world leaders at the Sustainable Development Summit in New York. More than 150 world leaders are expected to attend the Sustainable Development Summit at the UN headquarters in New York between 25 to 27 September to formally adopt the outcome document of the new sustainable agenda. The new sustainable development agenda builds on the success of the Millennium Development Goals, which helped more than 700 million people escape poverty. The eight Millennium Development Goals, adopted in 2000, aimed at an array of issues that included slashing poverty, hunger, disease, gender inequality, and access to water and sanitation by 2015. The new sustainable development goals, and the broader sustainablity agenda, go much further, addressing the root causes of poverty and the universal need for development that works for all people. At the Rio+20 Conference of 2012, Member States agreed to launch a process to develop a set of sustainable development goals, which will build upon the Millennium Development Goals. The Millennium Development Goals have proven that goal-setting can lift millions out of poverty, improve well-being and provide vast new opportunities for better lives. It was agreed that the new goals would be global in nature and universally applicable to all countries while taking into account different national realities, capacities and levels of development and respecting national policies and priorities. The negotiations were co-facilitated by the UN Permanent Representative of Ireland, Ambassador David Donohue, and the UN Permanent Representative of Kenya, Ambassador Macharia Kamau, over two years. The inclusive and transparent consultations by Member States, with the strong engagement of civil society and other stakeholders, have served as a basis for the conclusion of the intergovernmental negotiations on the emerging universal and people-centred agenda. The outcome document highlights poverty eradication as the overarching goal of the new development agenda and has at its core the integration of the economic, social and environmental dimensions of sustainable development. The emerging development agenda is unique in that it calls for action by all countries, poor, rich and middle-income. Member States pledge that as they embark on this collective journey, no one will be left behind. The ‘five Ps’—people, planet, prosperity, peace, and partnership—capture the broad scope of the agenda. development is covered in the goals on oceans and marine resources and on ecosystems and biodiversity, bringing core issues into the goal and target framework. The means of implementation outlined in the outcome document match its ambitious goals and focus on finance, technology and capacity development. In addition to a stand-alone goal on the means of implementation for the new agenda, specific means are tailored to each of the sustainable development goals. Member States stressed that the desired transformations will require a departure from “business as usual” and that intensified international cooperation on many fronts will be required. The agenda calls for a revitalized, global partnership for sustainable development, including for multi-stakeholder partnerships. The agenda also calls for increased capacity-building and better data and statistics to measure sustainable development. An effective follow-up and review architecture – a core element of the outcome document – will be critical to support the implementation of the new agenda. The High Level Political Forum on sustainable development, set up after the Rio+20 Conference, will serve as the apex forum for follow up and review and will thus play a central role. The General Assembly, the Economic and Social Council and specialized agencies will also be engaged in reviewing progress in specific areas. Based on the outcome document, the agenda will include a Technology Facilitation Mechanism to support the new goals, based on multi-stakeholder collaboration between Member States, civil society, business, the scientific community, and the UN system of agencies. The Mechanism, which was agreed at the Addis Conference in July, will have an inter-agency task team, a forum on science, technology and innovation, and an on-line platform for collaboration. The successful outcome of the Addis Conference gave important positive momentum to the last stretch of negotiations on the post-2015 development agenda. It is expected that the consensus reached on the outcome document will provide momentum for the negotiations on a new binding climate change treaty to culminate at the Climate Change Conference in Paris from 30 November to 11 December 2015. For further information, please contact Sharon Birch, UN Department of Public Information. Can the World Unite to Solve Global Issues? 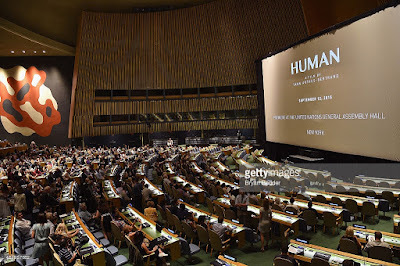 UNITED NATIONS, Jul 29 2015 (IPS) - The U.N.’s highly ambitious post-2015 development agenda, which is expected to be finalised shortly, has come fire even before it could get off the ground. Savio Carvalho of Amnesty International (AI), which is part of the UNMG, told IPS the post-2015 agenda has become an aspirational text sans clear independent mechanisms for people to hold governments to account for implementation and follow-up. “Under the garb of national ownership, realities and capacities, member states can get away doing absolutely nothing. We would like them to ensure national priorities are set in conformity with human rights principles and standards so that we are not in the same place in 2030,” he added. The 17 SDGs, which are to be approved by over 150 political leaders at a U.N. summit meeting in September, cover a wide range of socio-economic issues, including poverty, hunger, gender equality, sustainable development, full employment, quality education, global governance, human rights, climate change and sustainable energy for all. All 17 goals, particularly the eradication of extreme poverty and hunger worldwide, are expected to be met by the year 2030. The proposed follow-up and review, as spelled out, lacks a strong accountability mechanism, “with several references to national sovereignty, circumstances and priorities which risk undermining the universal commitment to deliver on the SDGs,” says UNMG. This applies also to questions related to financing (budget allocations) in the actual implementation of the agenda, says a statement titled “Don’t break Your Promise Before Making it”. “We are keen to ensure that people are able to hold governments to account to these commitments so that these goals are delivered and work for everyone,” says UNMG, which includes a number of coalitions and networks who will be monitoring the post-2015 process. These groups include CSOs representing women, children and youth, human rights, trade unions and workers, local authorities, volunteers and persons with disabilities. Asked about the composition of the UNMG, Jaimie Grant, who represents the secretariat for Persons with Disabilities, told IPS that UNMG is the official channel for the public to engage with the United Nations on matters of sustainable development. “Across all these groups, stakeholders and networks, we share some very broad positions, but there are many thousands of organisations feeding in to it, in various capacities, with various positions and priorities,” he explained. Adding strength to the chorus of voices from the opposition, the Women’s Major Groups, representing over 600 women’s groups from more than 100 countries, have also faulted the development agenda, criticising its shortcomings. Shannon Kowalski, director of Advocacy and Policy at the International Women’s Health Coalition, told IPS the SDGs could be a major milestone for women and girls. They have much to gain: better economic opportunities, sexual and reproductive health care and information and protection of reproductive rights, access to education, and lives free from violence, she noted. “But in order to make this vision a reality, we have to ensure gender equality is at the heart of our efforts, recognising that it is a prerequisite for sustainable development,” she added. The coalition includes Women in Europe for a Common Future, Equidad de Genero (Mexico), Global Forest Coalition, Women Environmental Programme, Asia Pacific Forum on Women, Law and Development, WEDO (Women’s Environment and Development) and the Forum of Women’s NGOs (Kyrgyzstan). Kowalski also expressed disappointment over the outcome of the recently concluded conference on Financing for Development (FfD) in Addis Ababa. “We hoped for a progressive and fair financing agreement that addressed the root causes of global economic inequality and its impact on women’s and girls’ lives. But that’s not what we got,” she said. “We were disappointed that there were no new commitments to increase public financing in order to achieve the SDGs,” Kowalski declared. These, he said, include Official Development Assistance (ODA) and tax justice. In implementing the SDGs, it is crucial that states honour their commitment to “leave no one behind”. “This means tracking progress for all social and economic groups, especially the most vulnerable and marginalized, drawing upon data from a wider range of sources, and regular scrutiny with the involvement of people themselves,” the statement added. Additionally, an even higher level of participation and inclusion is needed, at all levels, when implementation starts. The Beyond 2015 campaign also welcomed the commitment to an open and transparent follow-up framework for the SDGs, grounded in people’s participation at multiple levels. “We believe the current draft could be improved by including specific time-bound commitments and endorsing civil society’s role in generating data to review commitments,” it said.